“I grew up in a pious family… I was surrounded by that Orthodox way of life which for generations had been created by Holy Russia. In our family, life proceeded according to the church calendar, according to the yearly church cycle. Feast days were as it were the signposts of life. At home there were constant Divine services, and not only molebens, but all-night vigils also. “I felt that I could not live as people around me were living. I felt that I was lacking that life, the Orthodox way of life, which had surrounded me in my childhood and youth, that lightness of heart which I felt. I had the impression that I had been deprived of the air which I had breathed.” From this moment on he started to seek out ways to revive this in his life. and his priesthood. Fr. Anatoly blessed both of these decisions and later in the summer Adrian came to ask more questions about the same subjects. Matushka Eugenia Rymarenko was the daughter of prominent landowners in the province of Poltava. 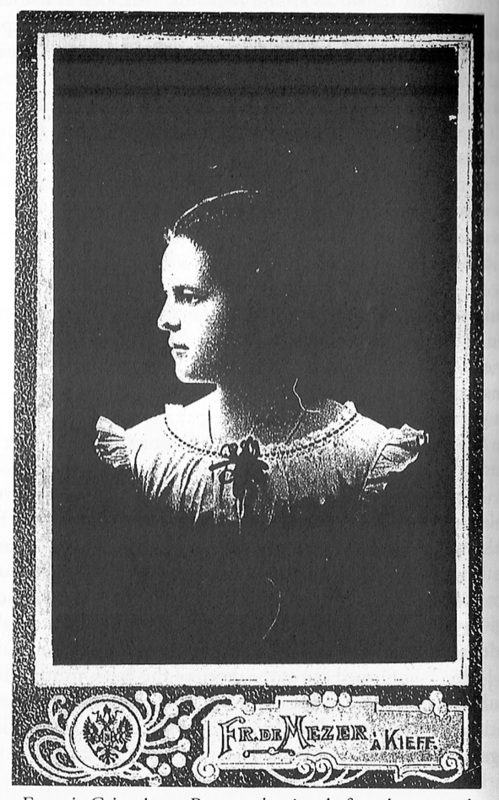 She studied in St. Petersburg and later transferred to Moscow. She had slowly moved away from the Church but after the death of her parents and her experiences connected with the Revolution she returned to the city of Romny, in the province of Poltava. There she met her future husband who had given her several religious books and inspired her to go to Optina. In recalling her first visit to Optina Monastery, she said: “Why I went to Fr. Anatoly at that time, I do not know. I had almost no understanding of eldership. I had only read Lodyzensky’s Trilogy: Higher Consciousness, Light Invisible and Dark Forces and Sergei Nilus’ book On the Bank of God’s River. Actually I wanted to visit the elder in order to get a look at him and hear from him some prediction of the future… Instead of a prediction of the future, I experienced joyful moments of repentance, and an unusual, peaceful state of mind and submission to the will of God. I was so won over by Batyushka that later, it was enough just to think of him in order to acquire a peaceful, bright state of mind.”He describes his first meeting with the Elder thusly: “I arrived at Optina on the day of SS. Peter and Paul at 6 o’clock in the morning, and stayed at the guest-house with the wonderful Monk Theodulus. He told Fr. Eustignius, Fr. Anatolius’ cell-attendant, that I had come. Batyushka immediately sent for me and blessed me to come to him after the Liturgy. Vladyka Micah celebrated the Liturgy. The service in the church of the Entrance was triumphant, and after the service I immediately went to Batyushka. There was a whole crowd of people around Batyushka’s house. They were mainly nuns. I was immediately let through and went to the Elder… He was friendly and affectionate. In one moment I completely forgot about what I had only just seen: through his questions the whole of my life was handed over to him. The conversation was mainly about my inner life. We talked about my pastorship. Feeling my unworthiness, I asked the Elder to forbid me to think of the priesthood, to which he, just like Elder Nectarius later, said to me: ‘Accept the priesthood without fail, otherwise you will suffer.’ When Batyushka asked me about my life, he suddenly said to me: ‘Go to the holy things in the holy corner.’ There he began to read the prayers of confession, and I thought that I would do confession, but Batyushka summarized everything that I had said, I confirmed my sinfulness, and he read the prayer of absolution. This was for me an unexpected prayer, I felt that I was reborn.”In 1921, Fr. Adrian began his pastoral duties in his native Romny at the Church of Alexander Nevsky. One of his parishioners describes this time of being surrounded by social unrest and the closing of churches. He says that Fr. Adrian served with feeling and that his sermons ignited the hearts of their listeners. Even though churches and monasteries were being closed this church was being filled with people. In no other church was there found such a spiritual life and devotion.In 1926 the church in Romney was closed and Fr. Adrian was sent to Kiev where he was “under surveillance.” He says that at the beginning of this time there was very difficult but then he became close to a group of “pastor-ascetics” whom he described as his instructors and friends. In them he found the same preservation of that which he had longed for from back in his childhood. “All of them gave up their lives for what was already in my heart.” And they literally did. “With these clergy there went to prison, exile and death thousands of their flocks, who wanted to live in God and with God. On my shoulders lay the heavy responsibility of continuing the work of the martyred ascetics…”After the repose of Elder Anatoly of Optina Matushka Eugenia and Fr. Adrian became the spiritual daughter of Elder Nektary of Optina. They came often to visit and stay for weeks with the Elder. The Elder would often tell Matushka, “[Fr. Adrian] is full of Orthodoxy… I rejoice that [Fr. Adrian] is fully Orthodox,” and often spoke of him “with such affection.” Matushka had more time to stay due to Fr. Adrian’s responsibilities in the parish. She would often read to the Elder as well as write correspondence for him and copy various passages from books. During his time in Kiev, Fr Adrian says that God had mercy on him and spared him from prison but this was only at the present time. In 1929 he was imprisoned for a short term then released and continued his priestly duties, though much more cautiously due to being closely monitored by the government. The next move was now to be to America. In 1949, Fr Adrian came with a small group of Russia immigrants and settled one hour north of New York City in Nayack in Rockland County. In the Fall of the same year, Archbishop Vitaly of Jordanville and Archbishop Nikon asked that Fr. Adrian establish a women’s monastery to gather together nuns that had been scattered throughout the Diaspora and to establish the Orthodox way of life in this remote area. Fr. Adrian says that not only nuns but a significant number of the thousand displaced persons from Europe, came to settle around the monastery and became a large Orthodox family. Regarding this new settlement, Fr Adrian said, “It is not yet enough to establish a monastic life; one must preserve it. For there is always the danger that life can be converted into a hothouse, a greenhouse, where it will be supported by artificial warmth, and as soon as the source of warmth ceases to operate, life will perish. 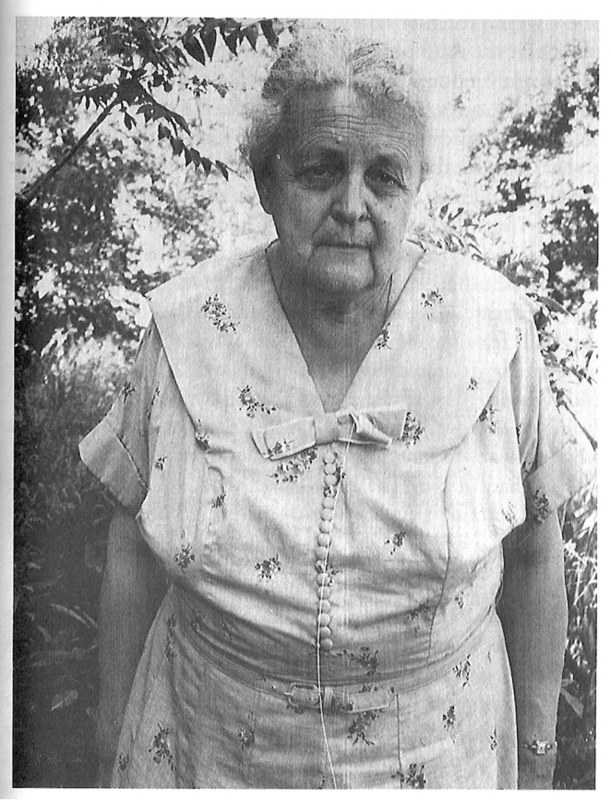 In 1968, Matushka Eugenia reposed in the Lord and in 1973, Fr. Adrian was elevated to the dignity of Archbishop. 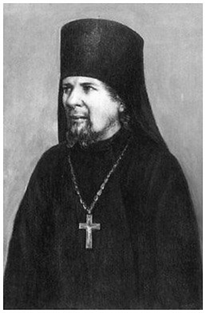 As an Archbishop, Vladyka Andrew continued to live in Novo Diveyevo. 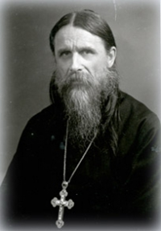 He was the spiritual father of Metropolitan Philaret, and counseled many other members of the Church, both Russian and English-speaking. “The last day in the life of Vladyka Andrew was the feast of the Holy Apostles Peter and Paul. The weather was hot. He received Communion reverently, as he did on all Sundays and feastdays. He was very weak, and lay down surrounded by the people most devoted to him, waiting for the long-awaited hour. “Every day he listened to three akathists: the first, to the Vladimir icon of the Mother of God, was read by Mother Nonna, the second, to St. Nicholas, was read at midday, and the third, to St. Seraphim, was read in the evening. He listened to all the services through a microphone that was connected to the church. “In the evening, towards the end of Matins, Vladyka was praying with particular fervor to the Mother of God. He took out an icon that had been given to him by his mother and which he always carried. On this day he prayed before it with special intensity, with all his might. This was felt by everybody. “Blood started to flow. His son and Fr. Alexander were worried. 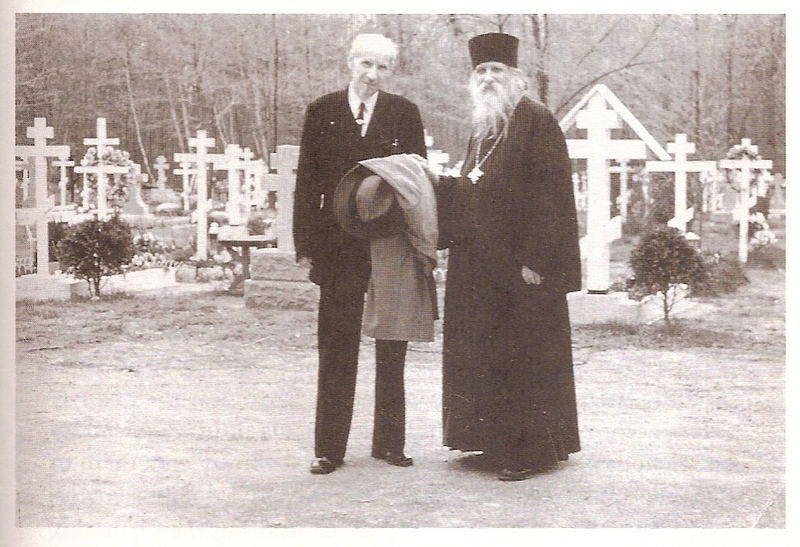 Brother Michael began to read the akathist to the Vladimir icon. 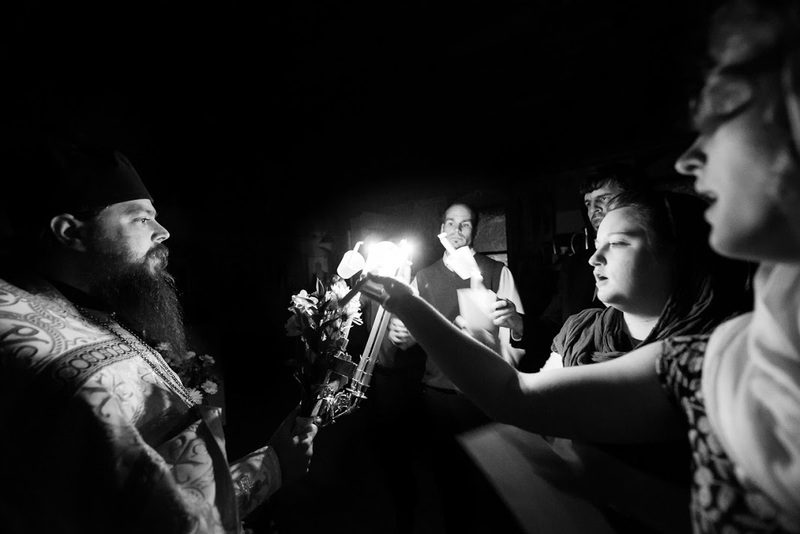 Then Vladyka called everyone to say goodbye to them and to give them his last blessing. He said that he was dying and asked everyone to pray for him. And then he began fervently to cry out: ‘Most Holy Mother of God, save me!’ with other prayers. When a cold sweat came out on his face, he cried: ‘I am dead!’ and became white as snow. “Fr. Alexander ran into the neighboring room to get hold of his epitrachelion – the same under which Elder Nectarius had died fifty years before. But Vladyka Andrew had already left this world. The authors of The Orthodox Word wrote an article about Archbishop Andrew in 1975 describing him as a “living link with the Holy Fathers” a term used to describe that tradition which is the teaching of the Church throughout history that is embodied by certain grace-filled individuals. This article describes Archbishop Andrew’s contribution to the larger Orthodox world as a guide to “how to survive as an Orthodox Christian in the anti-Christian 20th century.” Interesting to note is that it is not his homilies, or of books written but is instead his whole life. It is noted that he suffered much, in various countries, during war times, in prisons and exile. Others have gone through the same, especially during this period of time but their results have been fruitless. With Archbishop Andrew wherever he was a “close-knit Orthodox community” always formed around him. These authors attribute it to the presence of a “conscious Orthodox philosophy of life.” This philosophy, not being an abstract systematization but instead a life lived by Archbishop Andrew is summarized in five points. 2) The essence of the Orthodox life is “godliness” (piety) which is deeper then merely right doctrine. It is the entrance of God into every aspect of life. 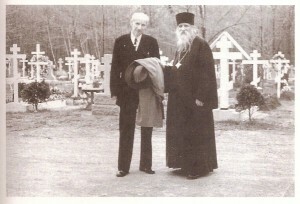 Vladimir Moss: Orthodox Christianity Author, s.v. “The Golden Chain: The Lives of Archbishop Theophan of Poltava, Archbishop John of San Francisco, Archbishop Joasaph of Canada, Archbishop Andrew of Rockland and Metropolitan Philaret of New York” (by Vladimir Moss), http://www.orthodoxchristianbooks.com/downloads/300_THE_GOLDEN_CHAIN.pdf. Archbishop Andrew of Nove-Diveevo, The One Thing Needful. (Liberty, TN: St. John of Krondstat Press, 1991), 6. Matushka Eugenia Rymarenko, Reminiscences: Recollections about Elder Nektary of Optina. Mary Crockwell trans. (Jordanville, NY: Printshop of St. Job of Pochaev, 1993), 5. The One Thing Needful, 7. Matushka Eugenia Rymarenko, Reminiscences: Recollections about Elder Nektary of Optina. Mary Crockwell trans. (Jordanville, NY: Printshop of St. Job of Pochaev, 1993), 40. The One Thing Needful, 9. The Brotherhood of St. Herman of Alaska, “Our Living Links with the Holy Fathers: Archbishop Andrew of New Diveyevo,” The Orthodox Word July-August (1975): 135. Is there hope of seeing “On the Banks of God’s River” by Sergei Nilus translated to English? I always also wanted to read Bykov’s book about Optina as well. Also, maybe you would like to use my icons to illustrate this series. I am working on a modern elders series, currently. I would really like to see a life of New Martyr Jose Munox Cortez. He was a secret Optina monk and faithful bearer of grace as well. Bishop Nektary is another one who would fit well into this series, and I would love to find more about Mother Nektaria’s writings (his mother).